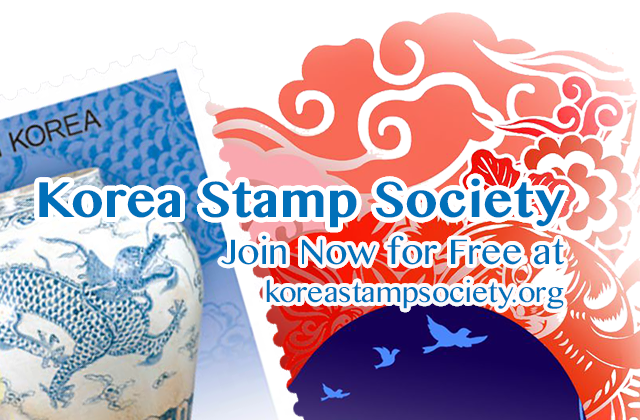 There are many ways of collecting and studying postage stamps – for their intrinsic collectable interest, for thematic interests, as a representative of the history of the postal service in different countries, and many other aspects. One approach which I follow is to examine the semiotics of the design of stamps. That is, what is the meaning of the images which appear on stamps? Stamps are, after all, tiny government documents. Someone decided that certain themes and motifs would appear, and someone designed an image which fit the themes which had been chosen, which was then approved. There is nothing haphazard about stamp designs. Examining the design and images on stamps, we can ask questions such as how do the images and the overall format of a stamp represent the political, economic and cultural interests of the governments which caused them to be designed, printed and issued? A number of scholars have used postage stamps in their research and as illustrations for academic lectures. To bring together some of these scholars and with the support of the Korea Foundation, Prof. Hugo Dobson (Japanese Studies) and I jointly organised a symposium entitled ‘A-political? East Asian Postage Stamps as Socio-political Artefacts’, which was hosted by the School of East Asian Studies at The University of Sheffield from 13 to 14 August, 2004. Some of the papers from that symposium were published in the academic journal East Asia: An International Quarterly as a special issue The Politics of East Asian Postage Stamps (vol. 22 (2005), no. 2). 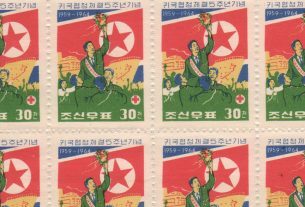 The contents of the special issue included an overview of the symposium by the joint editors Dr. Phil Deans, and Dr. Hugo Dobson, ‘East Asian Postage Stamps as Socio-political Artefacts’ (pp. 3-7). This was followed by Dr. Deans’s article ‘ Isolation, Identity and Taiwanese Stamps as Vehicles for Regime Legitimation’ (pp. 8-30) in which he argues that the changing political foci of the Taiwanese government are reflected in the designs of the stamps issued from the end of the Second World War to the beginning of the twenty-first century. The Kuomintang (Nationalist) Party Government initially stressed the unity of Taiwan and China, that the KMT was the legitimate government of all of China but gradually an emphasis on the separate identity of Taiwan from China is demonstrated in its designs. For example SG China 972 and 973 celebrate the return of Taiwan from Japanese rule to Chinese control by showing a very large Chinese (Nationalist) flag placed in the centre of the island. However, in 1997 SG Taiwan 2390 commemorates the 28 February, 1947 uprising of indigenous Taiwanese Chinese against the mainlanders who were settling in the island – formerly a forbidden topic for discussion or representation. The late Prof. Alan M. Wachman’s article (pp. 31-55) ‘Stamped Out ! : Carto-Philatelic Evidence of the PRC’s Constructed Notion of China’s Territorial Integrity’ discusses how mainland (Communist) China, the People’s Republic of China, used stamps as a means to justify its altering territorial claims to Taiwan. He shows that until 1942 at the earliest, the Communists (who then were in rebellion against the Nationalist government) had little interest in recovering Taiwan which had been occupied by Japan since 1895. For example SG Communist China Early Issues SR 1 of 1932 from the Chinese Soviet Republic shows China on the globe, but not Taiwan and this is the same for a stamp issued by the Northeast Postal Authority in 1946, SG Communist China North-East China People’s Post NE 137 to 140. 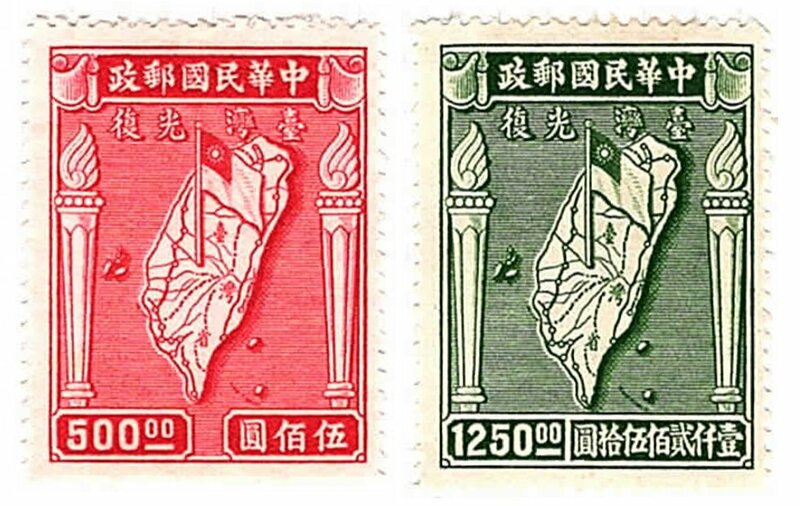 However by the time of the assumption of Chinese control of all of the mainland, stamps of 1950 now asserted Communist Chinese claims to the island (for example, SG Communist China South-West China People’s Post SW 20 to 23). The third article is Dr. Hugo Dobson’s ‘The Stamp of Approval: Decision-Making Processes and Policies in Japan and in the UK’ (pp. 56-76) which discusses the differing ways in which decisions are made about stamp design and the images placed on them in the two countries. One important aspect of stamp design is whether to display the monarch’s image or not. In Japan, the Imperial Household Agency (representing the Emperor’s interests) refused to allow the imperial image to be appear on a stamp because of the rudeness of defacing the sovereign’s portrait. 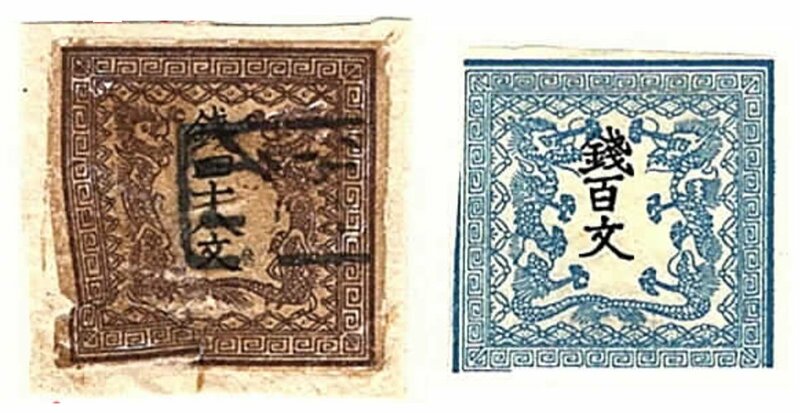 The first stamp issued by Japan (SG 1) in 1871 shows two imperial dragons surrounding the text of the stamp, whereas the Penny Black established the principle of the monarch’s head appearing on all British stamps. 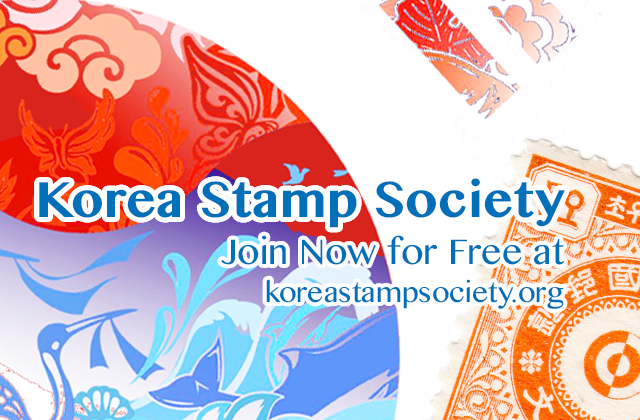 The fourth and final article of the special issue is Dr. Gabriel Jonsson’s ‘The Two Koreas’ Societies Reflected in Stamps’ (pp. 77-95) in which he gives a thorough statistical discussion of the changing imagery on the stamps and how this reflects both the changing socio-political conditions in each country, but also how different the two countries are, and how different are the images by which they project their sense of nationhood. He compares the motifs on the stamps of the two countries by looking at the designs of stamps in six periods of time – 1948 to 1959, 1960 to 1969, 1970 to 1979, 1980 to 1989, 1990 to 1999, and 2000 – 2002. 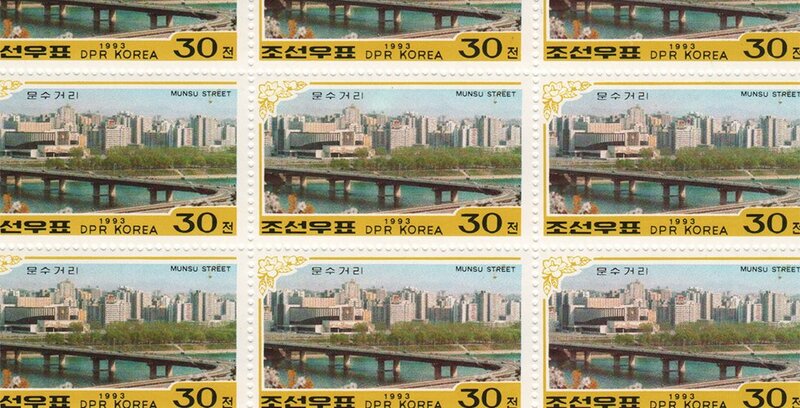 He also points out that north Korea has produced far more stamps than south Korea, and I would add that the DPRK has produced more stamps since 1948 than both the ROK and Japan combined. Moreover, I would note that if north Korean designs are often used to garner more by having images aimed at thematic collectors (British royal weddings, for example), south Korean stamp designs only display Korea-related themes. KSS member James H. Grayson is Emeritus Professor at the School of East Asian Studies, The University of Sheffield (UK). Please note: due to copyright we can’t show the actual texts. The graphics shown here are not from the publication, but from KSS members James Grayson and Yong Yi. The partial sheet shown at the top of this article is Scott A1447 “Munsu Street” from 1993, the other catalogue numbers are from the Stanley Gibbons catalogues.